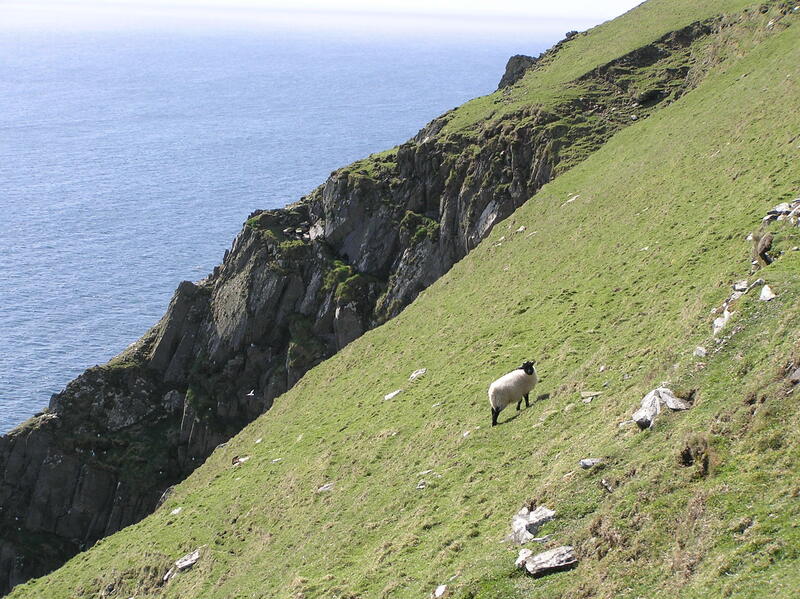 Go to Dún Chaoin in Country Kerry, along the west coast of Ireland. 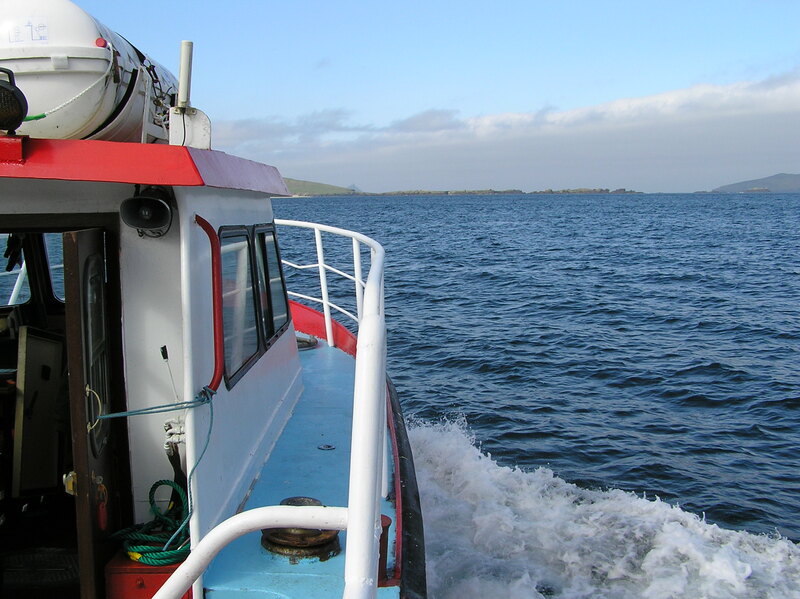 Take the ferry (in summer months only) to An Blascaod Mór, the Great Blasket Island. 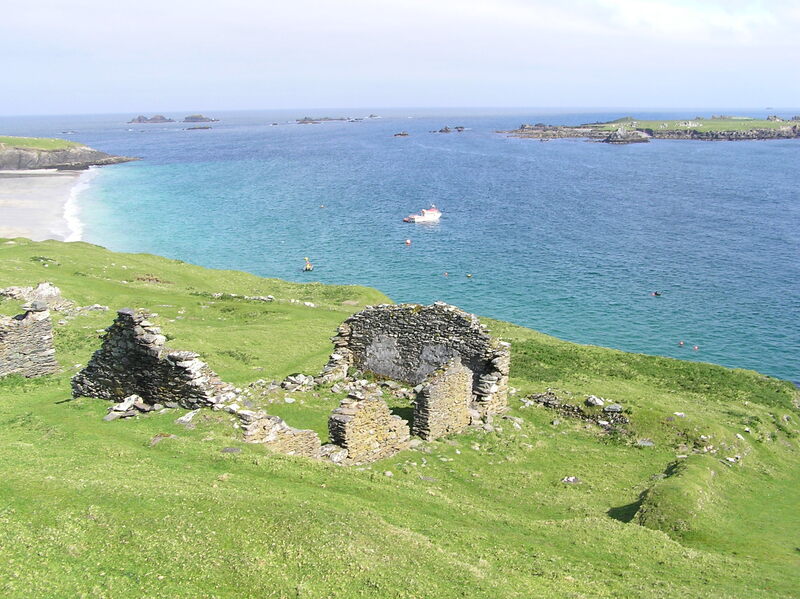 Walk through the ruins of the settlement where about 150 people once lived until 1953, when the 22 remaining finally left their island home. Imagine what it might have been like to live here, separated from the mainland by the harsh sea, always waiting for supplies, waiting with the dead until a boat could come and take the bodies. Read “A Dark Day on the Blaskets” by Micheal O Dubhshlaine, if you want to know more. Walk past the settlement, but be careful not to slide down the steep slopes of green. Walk until you find a hermit hut (pictured at the top of this post), likely used long, long ago by a monk or hermit, or perhaps a writer like you, penning words touched by sharp salt wind, distant whitecaps, a sleeping giant, cold stone, and curious sheep. Listen to the island around you—and write down its whispers.